For most potential online players, the largest reason for not participating in their favorite casino games on the internet is simply distrusting the integrity of the software. Even though the online casino companies have their RNG’s audited and certified by a third party company, no one really understands this process or can verify it. In the end, these are just claims. Live dealer casino games is changing all of this. To gather the trust of these potential players, the top online casino brands have delivered Live Dealer games, which utilize live video streaming with live dealers administering the action! The live dealer games are becoming very popular and are often the games of choice for members. 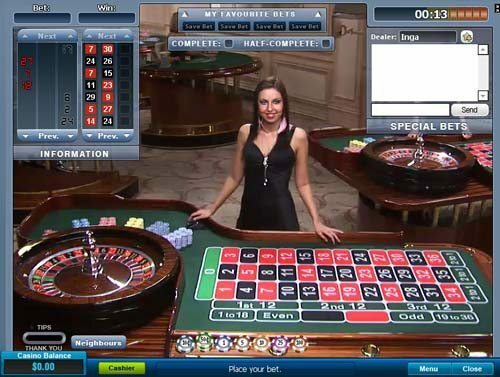 With all the improvements in Internet technologies, now’s the time to try out the live casino games! 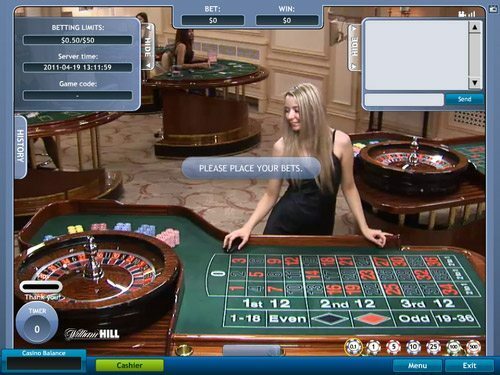 You can normally play the live dealer games through either the downloaded casino software you have installed on your computer, or through the online casino’s website and playing the flash version of the live dealer games directly from your browser. Our experience has been that both implementations are very similar. Typically, the top online casinos offer live blackjack, roulette, and baccarat. Some offer additional games such as Casino Holdem (William Hill has this). So you can see all the action live via a video streaming window and you also see the graphical representation of the playing cards or roulette table in the application. The graphical controls in the application allow you to control your bets and decisions. Full audio comes through along with the video streaming, in addition to the sound effects of the application, so you hear the dealer converse. You have a chat window to communicate to the dealer or the other players (but they cannot hear you!). All of the leading industry casino brands have adopted live dealer capabilities, some developing the technology themselves, and others licensing the software from software companies such as EntwineTech, Evolution Gaming, and Playtech Software. Common live dealer casino features include multiple tables at various stakes, software that allows you to adjust the video streaming window, audio from the dealer and the game, online chat, attractive female dealers, 24/7 availability, and graphical controls and elements. Certain live casinos offer a full screen HD mode option, your choice of Asian or European dealers, and even private VIP or high-stakes tables. When playing live blackjack, you can see the actual cards dealt in front of you with over-sized playing cards. With live roulette, you can see and hear the roulette ball bounce around the wheel. 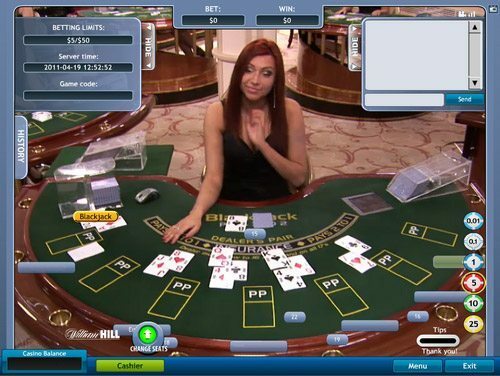 The experience of playing your favorite casino games with a live dealer from the comfort of your home is simply amazing. Interacting with real people and watching the game unfold live via video streaming takes online gambling to an entirely new level. Visit LiveCasinoDealerSites to learn more about this growing trend!